Listen to Serena on the Radio! 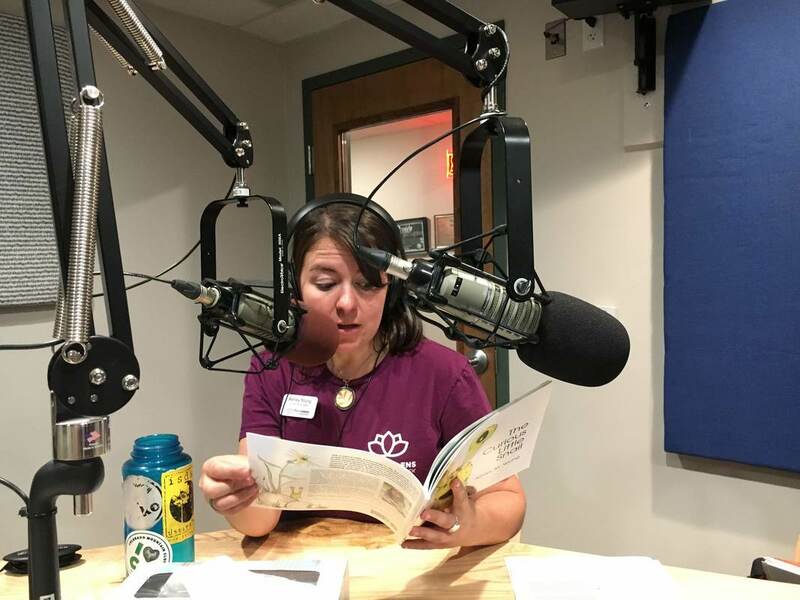 We had the fabulous opportunity to appear on KRFC 88.9 FM in Fort Collins Colorado with Kristen Olsen and her program Tunes and Tails. 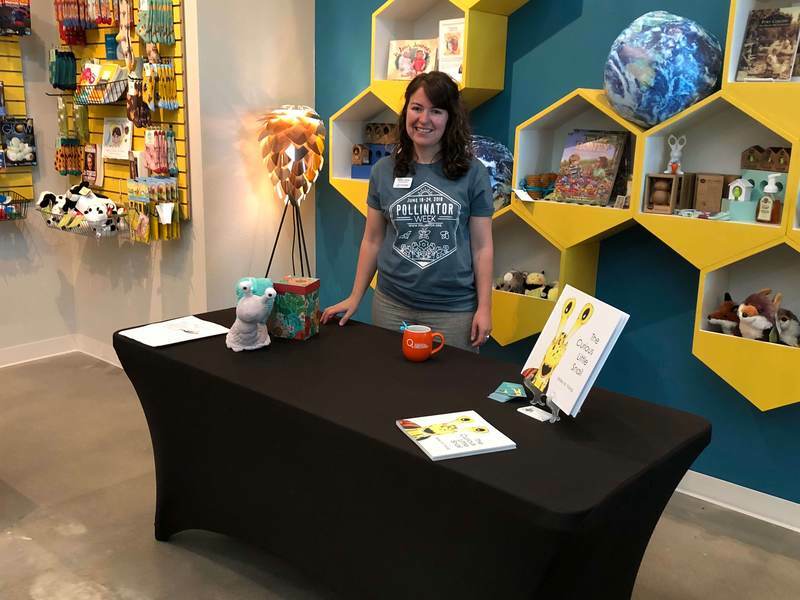 Every Sunday at 6pm she pairs a local children's author and a local musician to create a fun, interactive and creative story hour. If you missed the show you can hear it now! Serena quietly slipped around the world this year. As we look back on 2018 she traveled to the East coast, the West coast, Hawaii and even Russia! She found her way onto the big screen, the radio waves and new bookshelves. It was a great year! 2019 is going to be even bigger! New adventures are on the way and Serena is ready to make a big splash! Stay tuned for book signings, stickers, and new stories. Peacocks and bullies, what could they possibly have in common? Well you can find them both in Splat!, a new book by Ellen Raine and illustrated by yours truly! Bullies don't have to get the better of you. Lucas endures a lot of insults and frustration in his quest to be like everybody else--to fit in. Sad and alone, Lucas goes to extreme measures to fit in, but a freak accident and a new friend encourage him to be different. Follow Lucas as he discovers his true colors and gains new self-confidence in the unrelenting sameness "in a dry dusty desert." 11 days to Christmas what is your dog reading? Christmas is just around the corner and a copy of The Curious Little Snail is a great gift for kids of all ages, and dogs too! Don't take my word for it, read these rave reviews! "Anyone who is anybody should read this book, it's thoughtful, adventurous and perfect for young readers." Ida Bralower age 8. 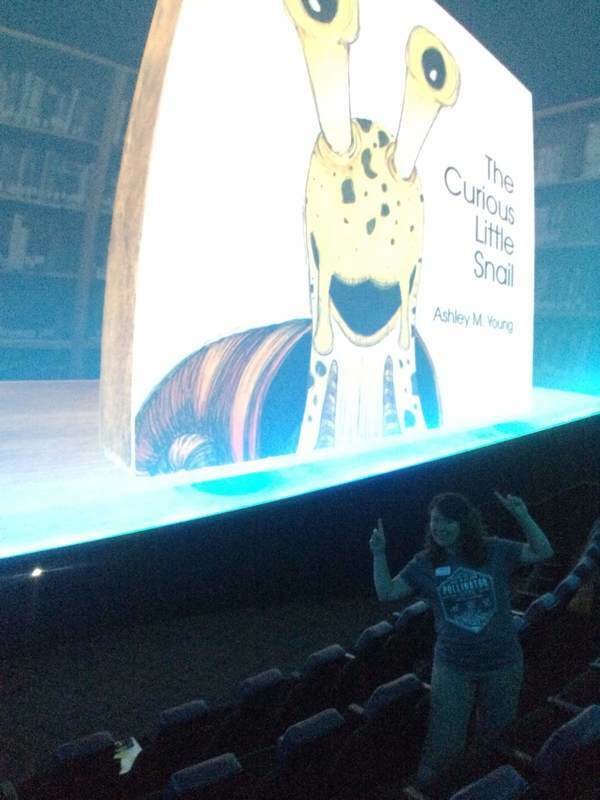 "The Curious Little Snail is an educator’s delight! Young’s dazzling illustrations of Serena the snail and her surroundings draw readers into the thoughtful and beautiful world of snails. It is easy to slime along with Serena and adopt her youthful, wondrous perspective of the world. Young reflects children’s capacity for questioning, encouraging adults and children alike to slow down and take a closer look at our surroundings. As a 3rd, 4th, and 5th grade teacher, I highly recommend this book. 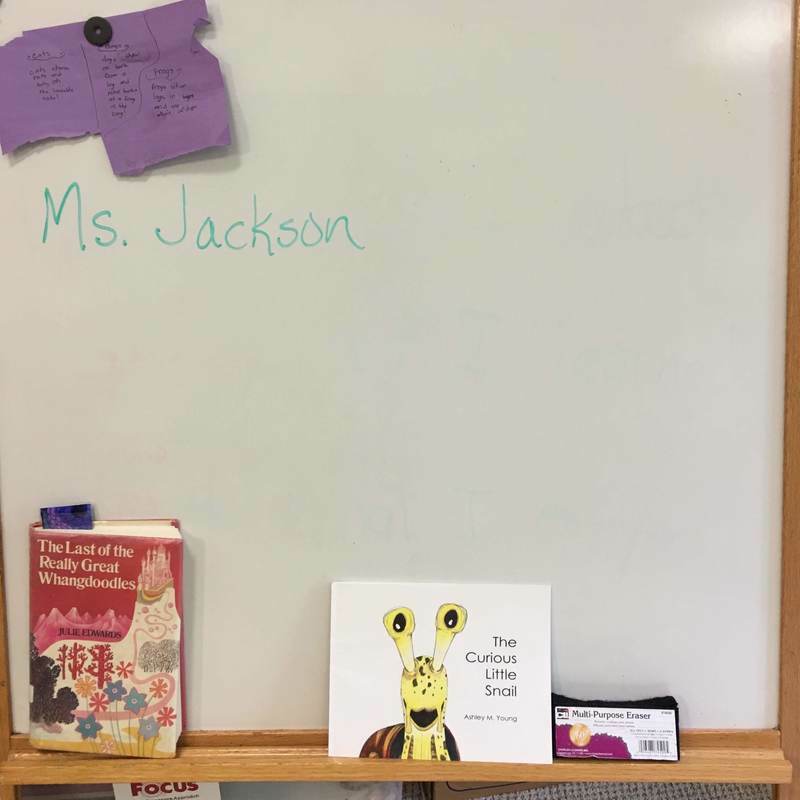 Young provides resources for educators and parents in the back of the book which helped me launch a conversation with my 4th grade students about noticing and questioning that which we take for granted." "The Curious Little Snail is sweet, thoughtful, and full of wonder! The author does a great job of bringing the reader along on a snail’s paced adventure that will get kids laughing, thinking, and questioning alongside Serena the snail. A small snail with a big message, Serena is the perfect heroine to encourage kids to use scientific reasoning to think about the world around them. 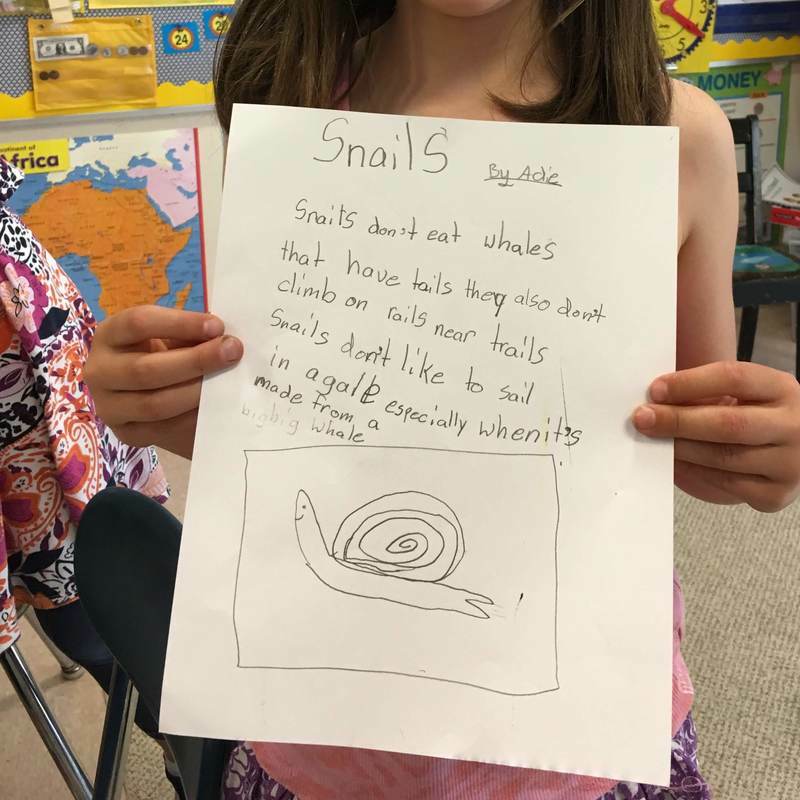 Perfect for environmental educators, classroom teachers, and anyone with an adventurous kid in their lives The Curious Little Snail wants you to join her on the next BIG ADVENTURE!" "A tiny snail asking big questions about the forest around her. Children will love the story and beautiful illustrations. Parents and teachers will find important strategies for slowing down and supporting a young learner’s curiosity in nature. 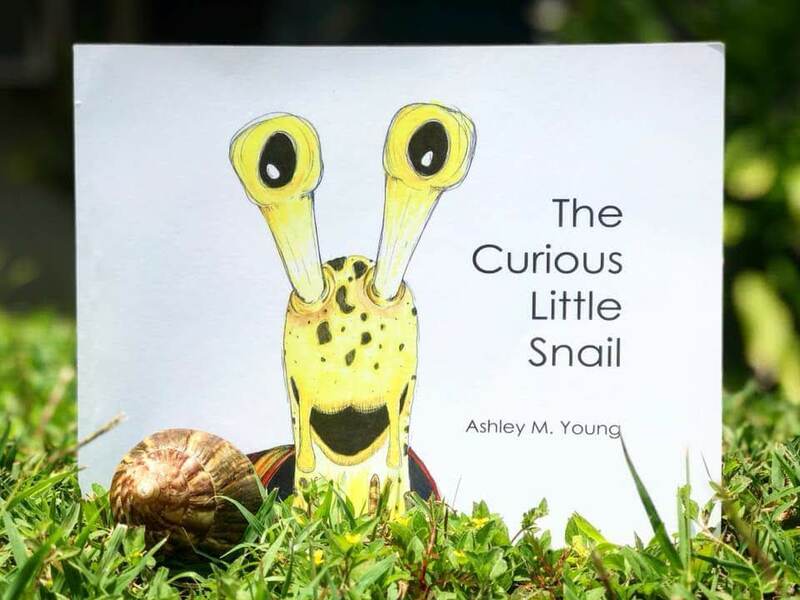 Ashley Young’s, The Curious Little Snail, should not be kept next to the bed, but rather be brought outdoors as preparation for outdoor adventures." Thank you friends for your kind words and support! Want to leave your own review? Enter it here and see your thoughts in our next blog! Moving in for the holidays! ​Serena has come out of incubation just in time for cyber Monday! We have been packing and moving our world to a new space. Never have I envied snails and their mobile home so much. Oh the joy of being able to have everything I need tucked away in the little shell on my back. A new space means a new studio and time to pick up work on the next book in the Curious Snail Series. Serena has been squirming to tell you all about her adventures and new friends in the big city. Exciting news!! Serena is in a store near you! Make sure you are stocked up on your copies of The Curious Little Snail for the holidays! The book can be purchased retail at the Wolverine Publishing House Bookstore and the Gardens on Spring Creek for you Coloradans and at IslandWood for our PNW friends. We are working on Barnes and Nobel and some other local CO shops. Living someplace else? You can always pick up a copy online at Lulu.com they are currently running a sale for $8.97 + S&H. Doesn’t get better then that!! Wow! What a month April was and now May has almost passed us by as well. Serena has reminded me time and again to slow down and appreciate this “one wild and precious life” (Mary Oliver) but it has been hard as the world moves around me at a furious pace. Today, however, I am slowing down to say a huge thank you! Serena hit the web April 27th and in three days sold 39 copies!! I have not seen the numbers for May yet but we are excited to see how many Serena snails are out in the world. We have been busy replacing pixelated copies that were ordered in the first 24hours of sales. Please let me know if you have a book that seems out of focus and I will send you a new, signed copy. Check back in Monday to see how this ceramic snail comes to life. Wow! What a tremendous outpouring of support Serena and I have received from you all! Our first few days have been an amazing success and it is all thanks to you wonderful people. That being said, it has come to our attention that some of the books being printed have come out fuzzy (a pixilation issue)!! That is not okay! The quality and presentation of this book is very important to me. I want you all to be able to enjoy the book to its full potential. If you receive your book and notice that the images are fuzzy please email me at thecuriouslittlesnail.com with your name and mailing address and we will replace your book immediately with a signed copy. The day has come! Serena and I are thrilled to share our story with you and the world. Our book The Curious Little Snail is available exclusively at Lulu.com. Check it out! Serena is coming to you! Wednesday is a big day for Serena the Snail and Ashley! Wednesday, April 27th, 2016 we will finally be able to share our first story, The Curious Little Snail, with the world. The book will be available as a 9x7 paperback on Lulu.com and they will ship it right to your home or classroom. 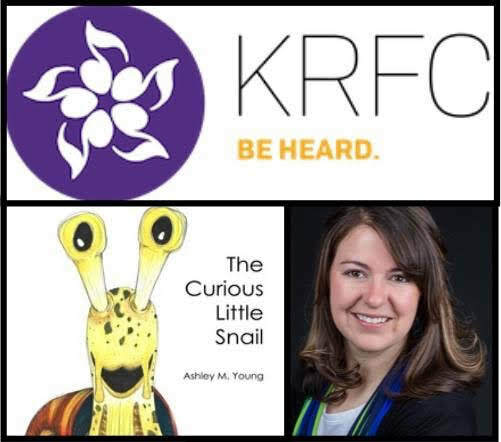 The Curious Little Snail is a new children’s book intended to engage young minds and assist parents and teachers in fostering curiosity. It brings to life the secret world of snails through lively images and intentional storytelling. The story takes place in the deep green forest where Serena the Snail and her Papa search for answers to life's big questions. By bringing together adventure and learning, this tale is a powerful and practical book for explorers big and small. Stay tuned for news on upcoming book release parties and community readings. You can sign up for the most recent updates an information on our store page.